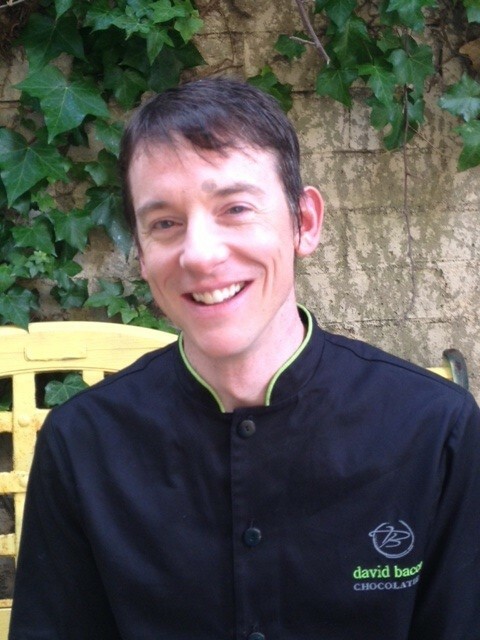 David began his culinary career in 1994 at Roy and Nadine’s, an upscale dining establishment in Lexington, KY, where he studied under Chef Jonathan Lundy. In 1997, David relocated to Madison, WI, and began working at the Opera House restaurant under Chef Eric Rupert. Inspired by world-class pastry competitions, Bacco learned to create unique desserts with fresh flavors and dramatic visual aesthetics. Driven by an inner passion and working in constant pursuit of perfection, David continued his education at the French Pastry School in Chicago, where he learned advanced techniques with Belgian chocolatier Jean-Pierre Wybau; advanced chocolate candies and candy bars sous vide with M.O.F. Chef Franck Kestener of France; Spanish Patisserie with pastry chef Oriol Balguer; chocolate showpieces and entremets with M.O.F. Stephan LeRoux of France; and pulled and blown sugar work with Ewald Notter of Switzerland. In addition, David studied with several world-class pastry chefs at the World Pastry Forum in Las Vegas. David launched his signature chocolates line while working at downtown Madison’s Cocoliquot restaurant, earning accolades such as “Best Restaurant for Dessert” (Isthmus Magazine 2007), and being named the Exclusive Chocolatier for Madison’s Chocolate Gala. In May of 2008, David opened his high-end chocolate shop, David Bacco Chocolats, where he created over 30 varieties of exclusive chocolates. There he also introduced a signature line of healthful, bittersweet chocolate Chakra Bars and hot chocolates made with select teas, herbs, spices, flowers, fruits and nuts. David was with the shop until April, 2010. He relocated to San Diego in October, 2010 to launch his new venture, David Bacco Chocolatier, with an entirely new line of chocolate flavors, looks and tastes. Bacco’s chocolates engage the senses, not only through a myriad of aromas and flavors, but also through visually stunning colors and decor. Inspired by the world around him both near and far, inspiration for a chocolate flavor or design may come from such diverse places as nature, photos of the Milky Way galaxy, travel, a walk, from practicing tai chi and yoga, or even a memorable experience with food. Bacco’s family comes from Italy, a culture rich in food, art, fashion and amore. Italian being a romance language, David wanted to give a sense of the feelings, emotions, and foods that are part of the human experience. Sharing this with his customers links you to his family heritage and is apparent in his passion for chocolate, Terra, and life. With more than 17 years of chocolate and pastry experience and 11 major awards to his name, David has worked at numerous restaurants in the Midwest, gaining knowledge, experience, and perfecting the fine art of flavor pairing. Recently relocated to Southern California, he continues to build his portfolio to include a vast array of exquisite chocolates. Created an edible showpiece, six varieties of chocolates, and two types of chocolate desserts for this exclusive gathering of 250 people.